These hollow wooden blocks are manufactured from beech ply and finished in a high quality lacquer. 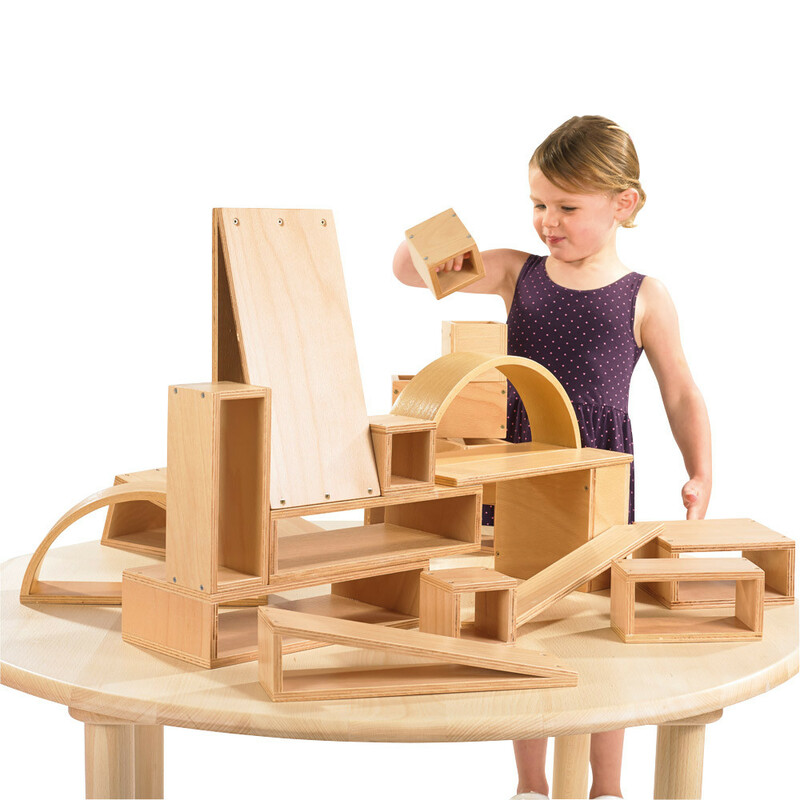 Available in 2 different sets with a variety of shapes and sizes to create countless and varied structures. The hollow shapes make them lighter, ideal for younger hands. Age: 18 months+.